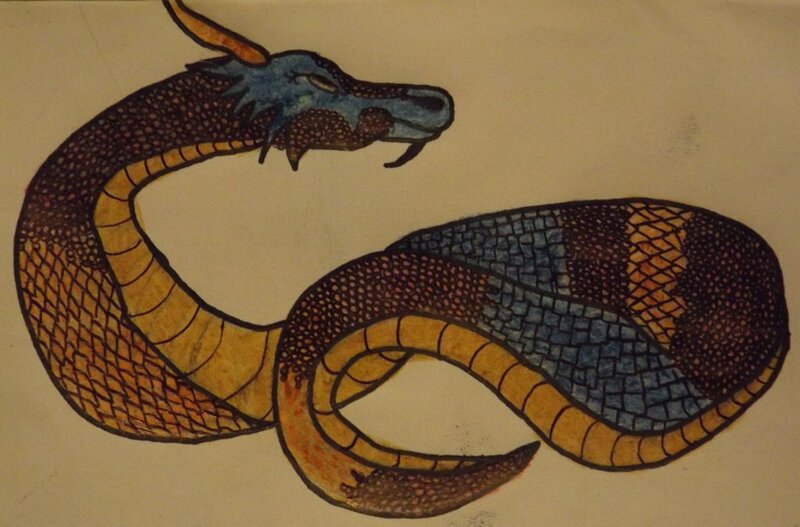 Here’s another dragon picture I did last night. If you want to see more of my art work just follow this link to my gallery. http://ffgallery.deviantart.com/gallery/ doing art is something new to me, I only really started this hobby up a few months ago, but only seriously got into drawing every day for about two weeks now. I must admit though, I’ve never had any training in art and I never practice, what I have in my galleries are usually my first attempts at everything and I have been told that I’ve had a hidden natural talent, but I don’t believe that I am any good. 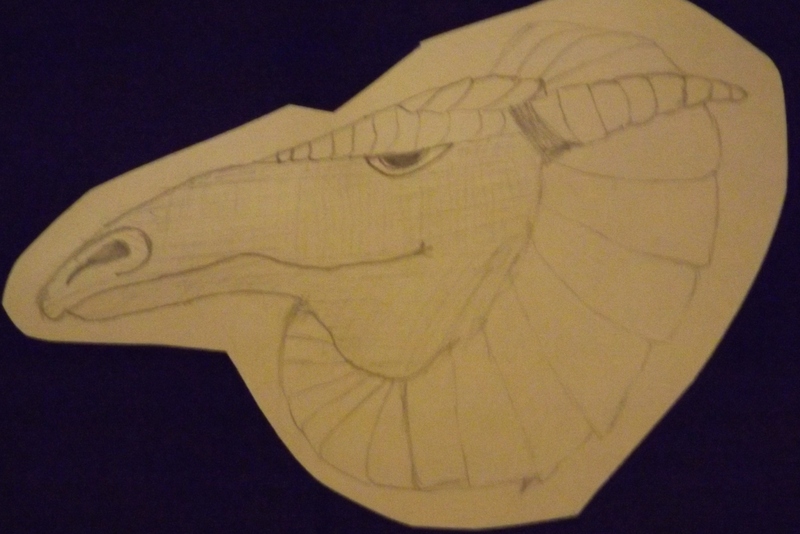 But here you are, here’s another dragon… on DeviantArt my dragons seem popular. I have been practising art a lot lately and got into water colors, though this is not a water color it is something I’ve done this week. 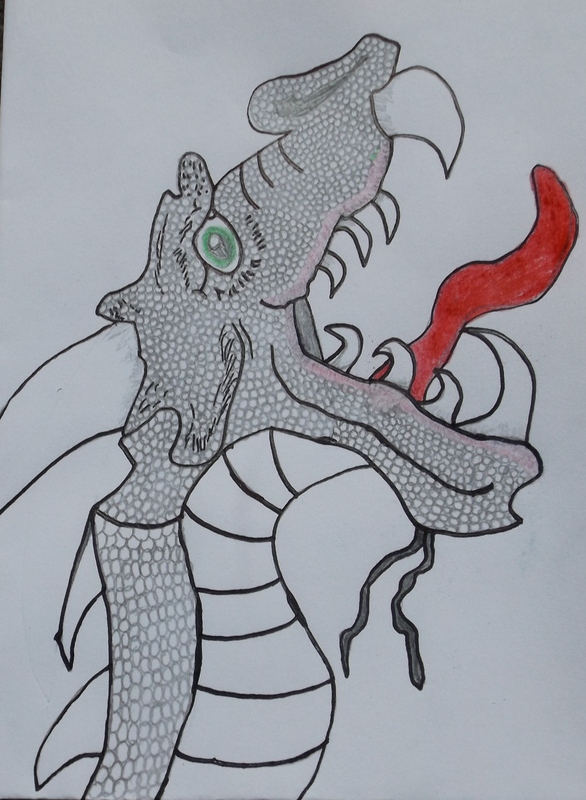 There will be more pictures coming up soon, but for now this dragon was drawn with a HB pencil and then to finish I used a permanent marker to make it stand out more and a colored pencil for the tongue and eye. I have been practicing drawing and pastel chalk art a lot this week, I’ve never been the sort of person to practice her drawings but I think now is the time as I am taking an interest in drawing pictures based on my poems; earlier this week I mistook that for graphic poetry but that’s a totally different sort of art to what I aim to do.